Perfectly suited to premium SUVs, the Dynapro HP2 RA33 is a high performance all season tyre. 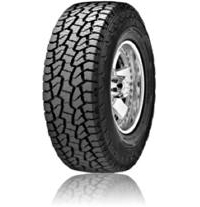 This tyre provides excellent on-road performance with light off-road capabilities. The Dynapro HP2 RA33 delivers excellent wet weather capabilities thanks to its four channel grooves which disperse water for enhanced aquaplaning resistance. In addition, this tyre was awarded a 'B' in some sizes for 'Wet Grip' by the EU Tyre Label. Designed with an optimally stiff centre rib, this tyre achieves precise handling for controlled steering, enhancing driving performance.